Figuring out the right basic nutrition seems like a lot of work, right? Fortunately, we can leave that to the scientists here at USANA. They certainly know what they’re doing—and nowhere is that more evident than in the USANA® Essentials™. Those three aspects have always guided the formulation of the Essentials, and they are the reason Essentials are the right choice for you. According to food intake surveys, practically no one eats the recommended amounts of all nutrients. And, Dr. John Cuomo once astutely observed that getting only the established recommendations—the DRI (Dietary Reference Intakes) or RDA (Recommended Daily Allowance)—is like setting your income to the government-established poverty line. Just think—most of us aren’t even consuming poverty levels of our essential nutrients. To maintain your “richest” health, you need to take in more of the most key nutrients every day. For example, 400 mg or more of vitamin C per day is what some studies have shown will support cardiovascular health. * But the RDA is only 75 to 90 mg per day. Our scientists know what the right amounts are. That’s why, rather than supplying small but ineffective amounts of nutrients found in many supplements, our Essentials include quantities of nutrients shown to provide true health benefits. It won’t ensure that you’re covering all of your nutritional bases at the amounts we just talked about. That’s why you should stick with the recommended amount of the Essentials each day. With a store brand, you may not be getting the all the nutrients that are needed to work together to get the best effects. For example, proteins that use vitamin A will not function without sufficient vitamin C, D, E, and zinc. Isn’t it nice to know that with just one product, you will get a time-tested, comprehensive blend of essential vitamins and minerals, plus cell-defending antioxidants? Those antioxidants are important for helping your body deal with the load of damaging stuff it’s exposed to, like excessive stress, pollution, and less-than-ideal dietary habits. Plus you will ensure you get the complementary nutrients you need for the product to actually deliver results. Our world-class scientists know exactly which nutrients synergize with other nutrients to function properly, which boost the action of others, and which nutrients shouldn’t be combined. Which is no small feat—our body’s nutrient interactions are complex! Fortunately, we don’t need to rely on guesswork to get the nutrients we need. Our scientists use their expertise when balancing the Essentials, creating safe nutrient combinations that work together to supply complete nutrition. Finally, in the world of supplements, you really do get what you pay for. There are often less expensive, less pure, and less effective forms of nutrients, many of which are used in inexpensive supplements. But our scientists are diehards about using only safe, bioavailable, and effective forms of every nutrient, sourced from well-respected suppliers. When it comes to health, our scientists make no compromises. Nutrition can be super confusing. That’s why we can heave a collective sigh of relief when taking our supplements. 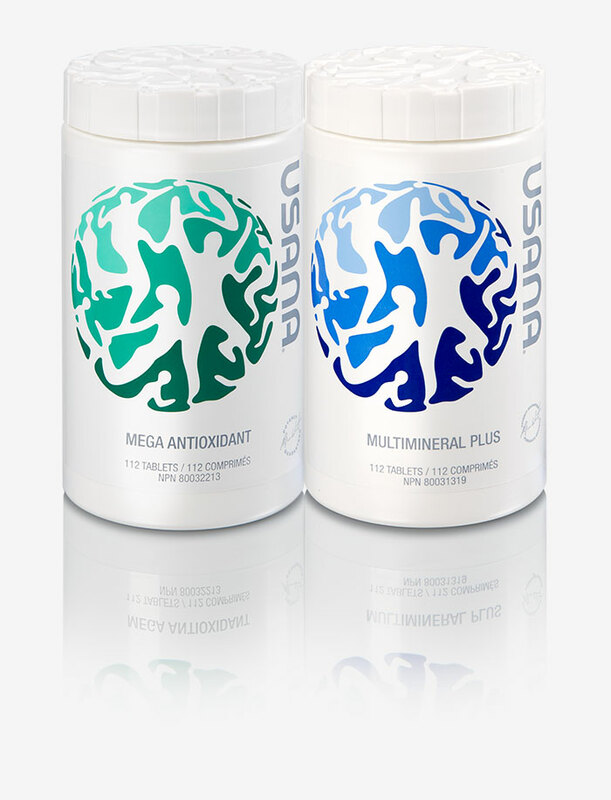 We can be absolutely sure that USANA’s Essentials—Mega Antioxidant and MultiMineral Plus—are the right choice for top-of-the-line healthy nutrition every single day. These are just three of the reasons we’re rated number one in The NutriSearch Comparative Guide to Nutritional Supplements. Watch this video to find out more. Share the Essentials with your friends and family. See the original blog post at What’s Up, USANA? and spread the word on your favourite social media sites.